A bow and arrow can only be used to take European carp. at least 50 metres from all other persons not involved in the bow and arrow fishing. Cockle nets are used for taking Pipis. They have a mesh net attached to a pole. Crab rakes are used for scraping the water-bed. They have a pole and a rake. Nets and mesh bags may be attached. A perforated metal basket with a handle used to catch freshwater shrimp. Maximum number of devices: 1 per person. Gear combination rules may exist. 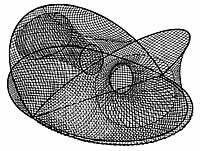 A drop net is made of 2 hoops joined by a cylindrical or cone-shaped net bag. Drop nets do not need to be registered. Maximum number: 3 drop nets per person. Gear combination rules may exist. Anyone using drop nets to catch rock lobster cannot use any fishing gear other than rods or handlines. Any unattended net must have a tag showing the name and address of the owner. all other waters (marine and inland) must have 1 white buoy that is 4 litres in volume. Learn how to mark your gear correctly. Within 200 metres of the Hindmarsh and Inman River mouths. In the Gulf St Vincent within 600 metres of the high water mark between the southern most breakwater at Outer Harbour and Witton Bluff (PDF 1.3 MB). wharves including the adjacent foreshore areas. In the waters of Second Valley Bay (PDF 517.2 KB). In the Port Noarlunga Reef area. Use of fish spears and spear guns while using any underwater breathing apparatus like hookahs or SCUBA is prohibited. It is an offence to take or attempt to take rock lobster with a spear gun or any other pointed instrument. Divers are not allowed to carry a hand spear or spear gun that uses an explosive cartridge. Devices that operate with an explosive cartridge can be used for protection only. They cannot be attached to a fish spear or spear gun. Any fish injured or killed with the device must be left in the water. Powerheads can be carried but must not be used for fishing. Powerheads are for protection only and must not be attached to a spear. A hand net is made of conical-shaped netting joined to a hoop and attached to a handle. Only 1 hand net can be used per person. Hand nets do not need to be registered. Maximum number permitted: 1 per person. Gear combination rules may exist. Hoop nets are made of 1 hoop holding a cone-shaped net bag. Hoop nets do not need to be registered but must be buoyed and tagged correctly. up to 3 hoop nets if other fishing gear is being used. Mesh nets cannot be used in the marine coastal waters of South Australia. New temporary arrangements are in place regarding the use of mesh nets in the Lakes and Coorong – view the latest information. All recreational mesh nets must be registered before they can be used. No new registrations are being issued for the Coorong, Lake Albert and Lake Alexandrina. Minimum mesh size: 50 mm. Maximum mesh size: 64 mm. Mesh panel: no more than 1 metre in depth. floating red buoys at intervals of no more than 50 metres if the net is more than 50 metres long. The net must float when set. The operator must be within 50 metres of the net at all times. The net must not be set within 200 metres of any other net. There are some restrictions on the use of mesh nets in some areas of the waters of the Coorong, For the purpose of using a mesh net, the waters of the Coorong have been divided into Area 1 and Area 2. Area 1: Defined as the waters of the Coorong separated from the Lower Murray and Lake Alexandrina by the Goolwa, Mundoo, Boundary Creek, Ewe Island and Tauwitchere Barrages and by a straight line drawn westerly from Pelican Point to Gnurlung Point and separated from the ocean by the Murray mouth. Area 1 Closure: The use of a mesh net in Coorong Area 1 is prohibited from 1 November to 31 March inclusive. Area 2: Defined as the waters of the Coorong commencing from a straight line drawn westerly from Pelican Point to Gnurlung Point, then extending south easterly to the most southerly limit of the lagoon proper. Area 2 Closure: You can use a registered mesh net in Coorong Area 2 at all times of the year. between midnight Friday and midnight Sunday in Goolwa channel in the waters between the Goolwa barrage and the area described in (6) above. Minimum mesh size: 150 mm. Mesh panel: nets must have a mesh panel so it floats. No part of the net can be more than 2 metres below the surface. The net must only be set from the water’s edge. Minimum mesh size: 70 mm. 1 yellow buoy at the other end. Buoys must be a minimum volume of 4 litres. A current PIRSA issued registration tag must be attached to the top of the yellow buoy. The mesh net must be attended by the registered owner between 1.5 hours after sunrise and 1.5 hours before sunset the same day. The net does not need to be attended outside of these times. Attendance of your net means the registered owner must be no more than 50 metres from the landward boundary of the Lake. Gear combination rules exist (see inland waters). fill in the application for a replacement mesh net tag form (PDF 195.1 KB) or request a form be sent to you from Fisheries Licensing. There is a fee for the replacement of a mesh net tag. Line fishing – using rods, handlines and hand nets is permitted in these closed areas. Go to our instructions on how to register or renew registration of your Lake George mesh net. A mussel dredge can only be used by hand. Maximum depth of net: 1 metre. Mouth of the pot: must be at the top. must have the top no more than 11 cm from the base of the pot. must be at least 28 cm wide and 5.7 cm high. Sea lion exclusion devices prevent Australian sea lions from entering lobster pots. They are mandatory for pots set in water less than 100 metres deep. extends up to be level with the base of the pot neck or higher. Go to our instructions on how to register or renew registration of your Rock Lobster pot. All rock lobster pots must be registered before they can be used. Learn more about registering lobster pots. Lobster pots are only for personal use. the tops of the escape gaps must be no more than 11 cm from the base of the pot. 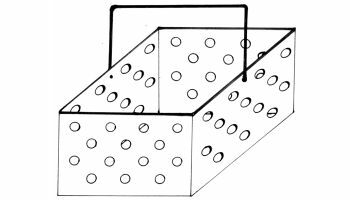 OR if there are no escape gaps, the pot must be covered in a mesh that will allow a cylindrical rod 5 cm in diameter to easily pass through if there are no escape gaps. up to 5 hooks joined eye to shank or threaded together. Each person can use 1 teaserline that is baited without hooks. A fish trap designed for the taking of shrimp. Shrimp traps do not need to be registered but must be buoyed and tagged correctly. Any unattended trap must have a tag showing the name and address of the owner. A fish trap designed for the taking of yabbies. Yabby pots do not need to be registered but must be buoyed and tagged correctly. Structure: No more than 2 fixed entrance funnels allowed.